How Do You Document Emails and Text Messages From Clients? How Do You Document Emails and Text Messages Received From Clients? “What is a record?” I ask this question with students every year in Ethics class, and the answer looks very different from when I was in graduate school. Modern practice has broken out of the confines of consulting rooms, filing cabinets, and the occasional landline call. As such, we need to remember that a “record” is much more than just the documents that sit in our filing cabinets or EHR systems. 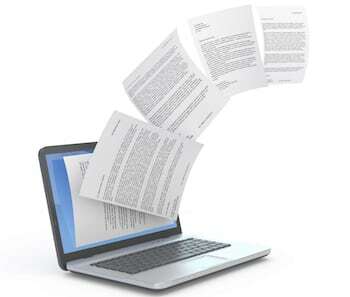 A record is any recorded information regarding a client’s care. That includes documentation of sessions, information exchanged with other providers, and yes — it includes emails and texts exchanged with clients. All communications with a client are legally part of their health record, and thus we need to be mindful of how we regard the messages that sit in our Inboxes and texting record. They are generally conversations, which are ephemeral. We don’t usually expect human beings to remember and/or record entire conversations. They’re usually a bit long. Who wants a folder full of full-text transcriptions of 50-minute long sessions? Textual communications are a little different. They are, by their nature, already recorded. 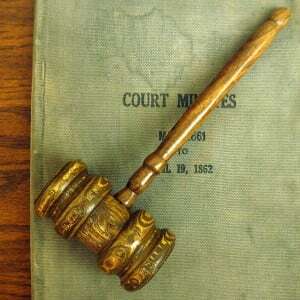 If a court subpoenas your records, the judge may find it reasonable to expect the full original text of communications, given that they arrived in your possession in a recorded format already. Depending on what equipment you have, or what services you’re using, getting the full text of a communication into your record will be more or less difficult. This is usually quite easy. 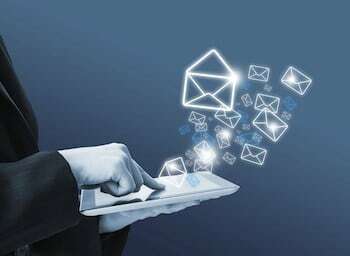 Most people can read their email on a computer, meaning emails can be printed and placed in a paper record, or copied and pasted into an electronic record. As noted in our article on Email and HIPAA Compliant Practice, emails sit on the servers of the companies that provide your email service. Following a thorough risk analysis, some clinicians may decide that leaving emails on the server is sufficient to maintain them, as opposed to copying the emails into a record-keeping system. This analysis should, at the very least, include an analysis of how reliably your service maintains backups of its data and how easy it is for you to find emails that are part of a given client’s record. Imagine having to produce a report that includes every email you exchanged with a given client. Are you sure you could use your email service to produce such a report without missing anything that should be, or including anything that shouldn’t be, in the report? 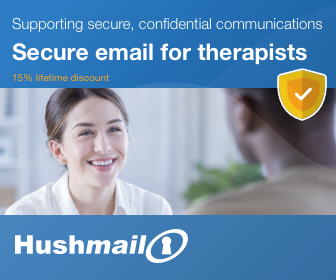 How would you make sure to get everything if a client’s email address changed during therapy, or if they used multiple addresses? Because of the vulnerabilities listed above, many technical experts advise that emails should be copied directly into whatever system you use to maintain client records. That helps to make sure you have them all in one place. We assert, however, that this is not an absolute necessity if you are able to earnestly and competently assess whether or not it works to keep emails on your service provider’s servers. Note well that any email service you subscribe to must, at the very least, provide you with a Business Associate Agreement. And you need to keep up good practices to maintain the security of your email accounts. This may (or may not) be more difficult depending on what kind of phone you have. A classic cellular phone can’t connect to a printer, for example. Nor can it connect to an online electronic record system. If your electronic record system is online, you can likely connect to that system on your smartphone. From there, it should be a simple matter to copy and paste text messages from the texting app to the record system. A number of clinicians have asked us about something that we see as a Bad Idea™: emailing text messages to yourself so that you can print the email. Remember the important point that sending information in an ordinary email (or SMS text) means sending it over the open Internet without any measures in place to protect it from prying eyes. So if you use this method, then you put that text message through confidentiality double jeopardy (because it already weathered the Internet prying eye gauntlet when it was sent to you in the first place.) What’s more, the client has no awareness that you’re doing this, and never expected their message to be re-transmitted over the open Internet. There are services out there — and they are always “cloud” services — that will help you extract text messages from your smartphone. Usually the point of the service is to make sure the information is backed up, but they can also be used to make it easier to print text messages or move them to another place (such as your electronic record system.) Remember that when you use a cloud service, the first and most basic thing you look for is that Business Associate Agreement. No matter how simple or inconsequential the service seems to be, using it still means entrusting confidential information to a third party. HIPAA always requires a BAA in that case. The full original text, including errors. The time and date it was received. The phone number from which it was received. If it helps, your humble author uses a classic cellular phone with clients and so must employ the transcribe-by-hand method when documenting any SMS texts they decide to send him. Lastly, and just like with emails, there is the option of leaving texts on your phone. See the section above on emails for some potential pitfalls of doing that. Add to the concerns raised there that the burden of securing your phone from intrusion, theft/loss, or from losing data, is entirely on your own shoulders. Do We Document Every Message and Do We Copy It Verbatim? Do you really have to document that text message that says nothing more than, “5 min late”? Many clinicians have expressed to us that they see these messages as being of too low importance to retain. Let’s explore what some experts have said on the subject, and then see what ethics codes have to say about it. Ofer Zur, PhD argues that documenting every message is unnecessarily burdensome, and only the communications with clinical relevance should be documented. (Zur, 2010) One could look at this as only documenting those communications whose contents are likely to come up as important later. He also argues that message contents can be summarized, like we would a therapy session or a voicemail. Keely Kolmes, PsyD argues that we can’t know if a message is part of a larger, important pattern until the pattern emerges. 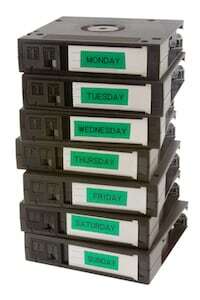 Thus it is wise to retain all communications so we can make sure we still have them should a clinical pattern emerge. (Kolmes, 2010) We maybe don’t know why our example client is running 5 minutes late, and later it could turn out to be important that they sent a message about it. The AMHCA code reminds us that emails and texts are part of the client’s record and states that they should be kept. Email: …Email transmissions are part of the client record; copies should be maintained in the client file. Text messages: …Text messages are considered a part of the client record, and should be kept in the client file. The standard to keep messages “in the client file” is an interesting extra point. This implies that the code expects mental health counselors will copy or print messages into the main record-keeping system. Counselors create, safeguard, and maintain documentation necessary for rendering professional services. Regardless of the medium, counselors include sufficient and timely documentation to facilitate the delivery and continuity of services. Counselors take reasonable steps to ensure that documentation accurately reflects client progress and services provided. When keeping records of email, online messaging and other work using telecommunication technologies, psychologists are cognizant that preserving the actual communication may be preferable to summarization in some cases depending on the type of technology used. It’s not clear precisely what they mean by “depending on the type of technology used.” However, I am inclined to believe that they are referring to the fact that emails, texts, and other online messaging services deliver messages in textual form. As such, it’s reasonable to expect that a psychologist would be in a position to document them verbatim. Social workers who gather, manage, and store information electronically should take reasonable steps to ensure the privacy and confidentiality of information pertaining to clients or research participants. Federal and state statutes and regulations may dictate how electronic records are to be stored and social workers are responsible for being aware of and adhering to them. Organizations in various practice settings may have additional policies regarding the storage of electronic communications. NCCs shall include all electronic communications exchanged with clients and supervisees, including those through digital technology and social media methods, as a part of the record, even when strictly related to clerical issues such as change of contact information or scheduling appointments. HIPAA does not get into this issue. HIPAA’s rules in this regard are focused on the security of any documentation you do decide to keep. It would be up to you, the clinician and boss of the practice, to determine what information from emails and texts you need to maintain and for how long. You would, of course, make that decision in accordance with your professional ethics and all applicable laws. Most licensing boards talk about how they would like licensees to document services and maintain records. It would be wise to see if your licensing board’s rules would impact how you maintain emails and texts. Other state laws could also have an impact. Does Your Client Know About All This? Clients certainly have an expectation that we will keep records. However, they may not have an expectation that the emails or texts they send will be part of that record. I won’t pull out all the various quotes from laws and ethics codes here, but a number of ethical standards and laws require us to make sure clients know the nature of the information we maintain about them. This is especially true if we maintain that information electronically. 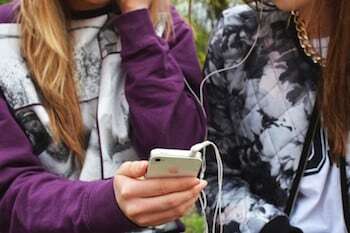 Talk to clients about email and texting, as has been discussed in other articles. Make sure they know that any messages they send you, in any form, are part of their record and subject to all the same laws and rights of access that any record is subject to. So whatever you decide about how you maintain emails and texts, make sure clients know what you decided on. There are three issues at play here: technical challenges to documentation, professional standards around it, and laws around it. It seems that professional standards lean in the direction of documenting all emails and texts. The degree of leeway varies by profession, however. Also, some professions have leeway regarding whether or not messages must be kept verbatim, while others have none at all. This all assumes that the law doesn’t define exactly what you must do, of course. If there is an achievable way, with reasonable costs to the practice, of maintaining emails and text messages verbatim, then we can’t reasonably argue against doing so. In other words, if it’s a reasonable burden for you to set up a method of keeping all your texts and emails verbatim, you should probably do so. If it is very difficult to maintain them verbatim, and you’ve come to this conclusion earnestly and in good faith, then it may be reasonable to address the need for documentation a little more creatively. Lastly, we recommend that all clinicians examine their personal perception of both emails and texts. For example, many people view text messages quite lightly. They’re built to be treated that way, so it’s only natural. It’s important that regardless of how weighty these tech media feel, however, we plan our systems of documentation based on the importance of the messages they carry. Find references for this article here. I agree with Keely Kolmes on this. Not only can we not know ahead of time if something is of clinical significance; neither can we know if something is of legal significance. It is incredibly burdensome to transcribe text exchanges by hand but isn’t the same true for telephone messages or conversations? I wonder if there is a way to take a screenshot of messages and if this might actually be a more expeditious was to include info in the record . . . ? Well, but messages and conversations can be summarized. Transcription is a different mental and physical process. I agree, though, that it’s not an impossibly onerous one. Screenshots can be helpful, but the question remains of how to get the screenshot to a place where you can reliably keep records without using a non-secure transfer method, e.g. email. This one’s also doable, but not a slam dunk. Is there a template you’d recommend that we have clients sign about the risks of texting and emailing if we do not have secure email services? I do talk to my clients about it, but feel I should probably have some form documenting the fact and indicating their understanding and acceptance of the privacy risk involved. Thank you! I think you’ll find quite a few useful things there! Very, very helpful. I’m so glad I found Person-C entered info. I especially like Roy’s matter of fact approach to the HIPAA requirements, etc. We’re so glad you found us, too, and are happy to hear you find our resources helpful. I would be happy to discuss your current practice considerations and needs and direct you to further resources we offer that address them. If you would like to set up a free 10-minute resource consultation I invite you to schedule it here: https://calendly.com/liath/10-minute-resource-consultation/ or email info@personcenteredtech.com or call us at 503-893-9717.